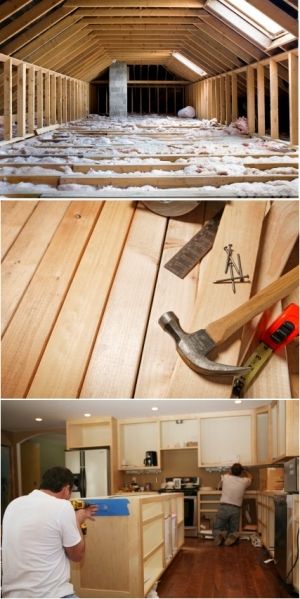 The Wood Shed offers a full carpentry, joinery and general building service. We specialize in anything from small alterations to major extensions. Complete refurbishment and practical advice such as, storage solutions, short cuts and handy tips especially if you are governed by a tight budget. U.P.V.C and Conservatories supplied and fitted. We supply and fit Oak and Reclaimed Pine Flooring, or fit floors that you have sourced elsewhere. We can offer flooring from any type of timber. We can supply mouldings to match existing door mouldings, cornice, skirting boards and much more. Hand made kitchen carcasses and doors in any wood, any size. We offer a refreshingly straight forward approach from start to finish. From your initial enquiry through to your furniture delivered and put into place. Only having to deal with one company for all aspects of the project minimizes the pressure on you. We select local tradesmen thus making the process run smoothly.